The picture below shows the first scene in a complex activity. Learners watch a video of an emergency scenario unfolding. 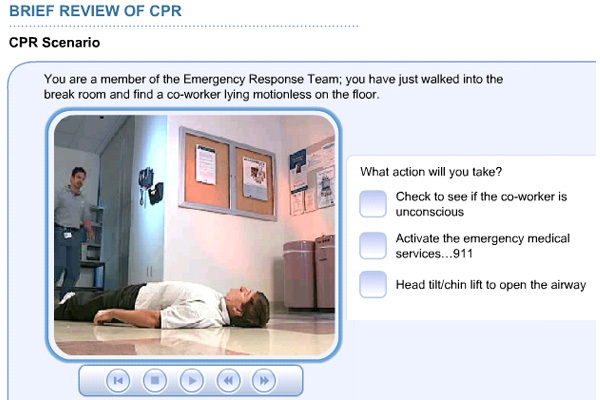 Several times during the video, there are critical decisions to be made by the emergency team members. At each of these decision points, the learner is asked to make a choice. If incorrect, they must start over. If correct, they continue until they “save” the victim (using an AED device).